Anyone who thinks we're doing this for the money can bite us. Consider subscribing to our Patreon for $3+ to support our continued work — and see if you can get a couple other people to do it, too. This isn't a whine. We're independent if homeless right now. We pay our bills on-time. We do our best to burden no one (except our partner who volunteers lol) and we are on Medicaid right now. But our situation is not improving either — and we're hobbled by our situation. The community can help fix that. If 1000 people contribute $3+ to support us, it changes everything. We had a 10% donation statement in our books. It's such a gross understatement we've decided to remove it and put this statement up instead and be thoroughly transparent. As of November 2018 we've made under $80 on the United Front book project on LeanPub, which we're currently splitting into 3 books as we write this. Our first book, Poetic License — the best-selling book of any we've written to date — had pre-sales from many of our singular buddies and business contacts and made maybe $200 overall after the book purchases of physical copies to deliver. We still have significant inventory/stock of books on hand that we haven't been able to sell (and that we technically pay monthly for storage space for). Total income for the book over the years, including online sales and the books we've had in inventory is probably $400 or $500 but we wrote and published it in 2009 — this is income over the last 9 years for a project that took many hours and took money out of our pocket. We also paid for a Kirkus Review, which as a singular expense brings the income of the book to around $0 before counting personal time/labor. Generally we donate about $60/year to our local CASA organization, and a varying amount of money ($25-100 minimum, not counting travel expenses, etc.) annually to our local Independent Living, Inc. that helps people with disabilities including trauma, substance abuse issues, physical and mental differences and disabilities. We run fundraisers for our local CASA 3x a year, we are on the Independent Living board of directors and donate a great deal of time helping both organizations, which is a labor of love and we'd do it with or without book sales and the public's financial support. We also give uncompensated time and efforts directly in the online DID community, physically by being out in the community, by presenting (our trip to present at Healing Together in 2019 was only comped for the conference entry fee — travel, hotel/lodging, food, car wear&tear, time off other income-producing pursuits, etc. are all on us, not counting the prep time for the presentation, etc. ), holding meet-ups, by holding plural-safe spaces and events, writing for Kinhost.org & CerberusPlural.com, and so on. To say we'll give 10% of the income from a book (or the sum total of our books) that hasn't made us much money to speak of is an enormous understatement. Technically we've given back more than 100% but we can't make that promise to you because we have other expenses and today may not be a good day to make a donation. We always give back, time and money. In the long run, in retrospect, we're basically giving everything we have back: we're prioritizing this work over getting a "real" job and having to shut down all of this activity just for selves-care for non-work hours — which has led to us being homeless, couch-hopping, and soon to be probably living out of our car and pet-sitting. Support us with your book purchases because you need the books. Amazon royalties are about $20/year, and thankfully we make more on Leanpub but it's not a lot more. Sales just aren't that good. If you want to support our other work, or support the podcast, the websites, the blog, or our time directly supporting the community in forums, etc. 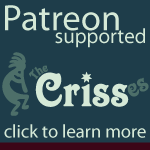 please use our tip jar (top of the page) or subscribe through our Patreon link (sidebar). Don't just buy a book because we'll give kickbacks to others — there's ways that pass more of your money to us to do this. The tip jar at the top of the page ($0 income to date — update: $9 as of Feb 2019 thanks to one generous supporter) is for one-time donations, and the Patreon link in the sidebar (currently about $88/month income thanks to some new plural activist patrons, formerly $30 from singular friends/family) is there in case you want to give ongoing support — and if we make more the money might actually be sufficient to cover keeping the website up, helping us keep writing (which takes food in the belly), keep our cell phone on so we can do coaching sessions, our computers up-to-date (kinda, we're on a 2009 laptop and 2012 desktop), or gets donated to these awesome causes. Better yet, get something of direct value for your money and go to our coaching website (link also in the sidebar), and sign up for a group, or 1:1 coaching and support us more directly while getting enormous value for yourselves. The community gets to decide what's next. Regardless of any individual's decision, we're dedicated to tossing our time/spoons/energy/resources into this ring for the remainder of 2019. We're willing to get a gym membership for showers, to rent a desk in a co-workspace or laptop at Panera if we can't afford that, and to sleep in our car to continue to do this work for the rest of this year — and if support improves our situation sufficiently, we're willing to extend that "deadline" past next winter. If someone puts $ in the monthly donation bucket it's like saying "please keep helping us out" (or "please keep helping them out" for friends, allies, spouses, etc.). During a lucrative petsitting season, we bought an air mattress for our back seat of the car, a cooler that does a decent job of keeping ice, shades for the windows of the car to keep insects and light out, etc. We're ready to do this. Seriously. What happens if we get so many donors — say 1000 plurals at $3 a month, so we're taking in about $3000/month (or more) in donations? It wouldn't be an impossible goal, but we're pretty far from there. But dream with us for a moment! We would be able to not only fix our housing situation, and free up all the time, energy and spoons spent moving from house-to-house or the bolluxing issues of sleeping in our car, or getting things into and out of storage — we'd be able to give coaching group sessions for plurals at a real minimum fee or with many full scholarships, spend more time creating content and offloading knowledge, spend less spoons planning where to be next and how we'll be able to work while there and actually spend it on continuing to help the community innovate and improve the lives of many. So: let's say we got up above $1000/mo, consistently: then the plan is to pay off our judgement first because landlords don't want to see that you have a judgement. The next step would be applying for more housing situations because we'd be potentially able to foot the bill for low-income housing. If we got above $3000 consistently, we could save up, pay off some debt, and purchase a home, and make sure the monthly payment is low enough to be very comfortable even into retirement age (not that we'll ever retire) or physical disability. Unless we're refused a mortgage — it's the one way to get past the lack of landlord history we have right now since we were at the place we were evicted from for 11 years and thus can't use a recent landlord reference. A modest home — and our overall expenses drop considerably. Or even better a less modest home and co-housing situation where we could even take in some plural housemates and make it into a small communal support situation. That may be dreaming big, but we're allowed to do that — it's our plans. AISOAVV — we want a community outside as well as inside. It frustrates the heck out of some of our friends. "Why are you doing a free coaching program?" "Why don't you get a (real) job?" "Charge more money." and down a whole list of basically saying "You're more important than all those other people we don't know!" — which is really sweet of them trying to nerf-bat us into submission for selves-care and financial solvency for life. We disagree. We are not more important than the masses we help. We're very aware that we have to put our oxygen mask on before we can help others — and we maintain just enough balance between selves-care and caring for the community to make sure we're not burning out, getting sick, or getting so stressed out that we won't be able to do this anymore. On the other hand, it's not easy to help people when we're constantly changing locations, or unable to cook ourselves a healthy meal because we don't have a place to cook. If you need our promises as to how we'll spend the (cough) "riches" we make off our pile of life's work, it's a very sad day & the harsh reality is that we give way more than 10% of our profits back, in cash and more. The reality is: we're poor, homeless, and basically living out of our car to do this work. We put temporary roofs over our heads by pet sitting and house sitting (with set-up, moving in/out, pet-care, and dealing with new environments always interfering with our time, workflow, and energy/spoons), while doing life coaching, community support, and writing. Fun news: just before leaving for the conference, we were asked to be out of the main house we've been couch-surfing at by end of April 2019. 2 years is 1 year too many for them (and for us!! lol). This leaves us in our car while in our home base town, and driving 2hrs to visit our partner as our calendar permits. We're on waiting lists for supported housing — with many hundred others without sufficient openings to whittle the list down significantly or quickly. The more comfortable our living situation gets, the more time and energy we have to give back to everyone. We've decided that our mission (helping others build internal community) is more important than our housing. We're giving this everything we have already. None of this mentioning that we have around $4K in credit card debt, About $15K in student loans still to pay off, a $4K judgement from our eviction, and zero retirement saving at the age of 50 — which is often the issue for people with a life-long disability. We always chose to work in small businesses with no retirement plans to conserve spoons and maintain flexibility and freedom we needed to cope with working. Not one of the businesses we worked at offered a 401K or other retirement vehicle, and we probably would have had to offload the cash by now anyway to survive. We already went bankrupt once in this life, and are trying not to do so again, but it's definitely a slippery slope to regain our finanical freedom AND to pour everything (literally) that we have into the community. Which comes with the sad decision to make as to whether we can continue being homeless next winter or if we have to pull all our tendrils and spoons out of the community to take on full-time W2 work — like we did for the 10 years from 2005 to 2015. :( It would crush us, but we might have to do that. And then pay the physical health consequences of that decision.